We had a great time participating in the ninth bi-annual Fine Arts Trolley Tour last night. It was fantastic evening of fun, good music, great conversation, fine wine and delicious food. 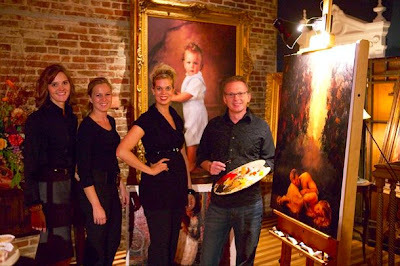 We unveiled a new gallery of fabulous paintings and even had a live painting demonstration! It was great to see so many of our clients and to meet so many new friends who appreciate and enjoy fine art.